Having taken a slightly different styling direction with its latest and most satisfying 308 hatchback model, ever-vigilant Peugeot has placed several of its other cars under the knife, writes Iain P W Robertson, to ensure family line continuity. 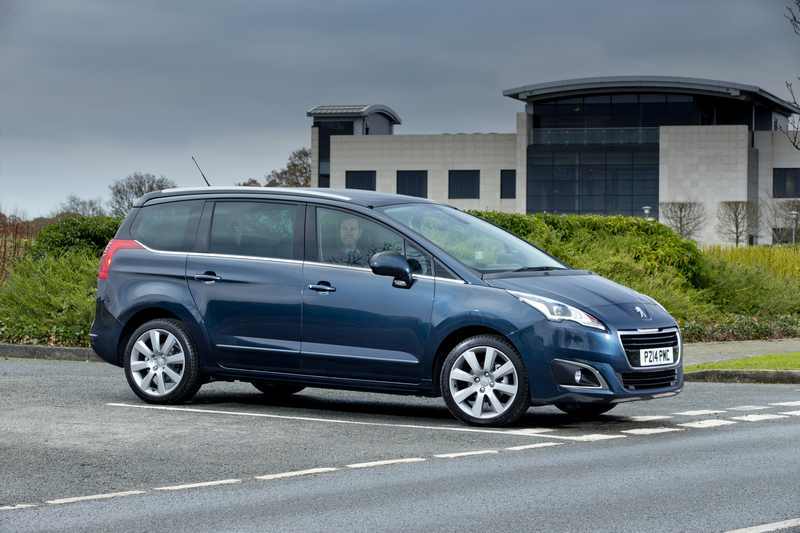 When you consider the wealth of experience that Peugeot has in the multi-seat vehicle market, it should not come as much of a surprise that it can do MPVs somewhat better than most of its rivals. The important aspect is that it does so, while perpetrating a classy image and a relatively compact packaging exercise. My first experience of Peugeot’s commitment was with a 504 Familiale that my father owned in the early-1970s. A wedge-shaped estate car, the hardy and spacious family wagon possessed a ‘secret’ below its really long load deck. A pair of extra ‘jump seats’ could be unravelled to increase its carrying capacity from five adults, to include two up-to-teenage size children in the back. Okay, the luggage space was somewhat eradicated but, at least, the whole family could be transported in one car to Sunday services. Peugeot has actually performed these transportation miracles for several years and one of my personal favourites was the more recent 307SW, which demonstrated that it could accommodate up to seven persons in a usefully compact estate car body. While the first generation 308 could not quite achieve the same goal and also developed the firm’s grim reputation for a lack of electronic integrity, the company now serves the MPV buyer with a pair of people-movers. The 3008 is a shorter version of the 5008 but it is not a car that I particularly like, most of which is to do with its appearance, which is just superficial, I know, although I have found that (a popular issue with French motorcars) the floor pan is unconverted from its original LHD form, which creates an unusual shape in the area of the foot pedals that my two metres of height and size-14s struggle to accommodate. The 5008 is the ‘grand’ version of it, possessing seats for seven and a more upright and conservative design. The metal surgery required to update the car is not substantial but it does mean that, from the front anyway, it looks like every other Peugeot model, which is not bad at all. It is exceptionally well-equipped (standard Bluetooth, a full-colour ‘head-up’ display panel, cruise and climate controls) and, thanks to its longer wheelbase, it drives with a more loping gait that proves to be very supple and refined for its occupants. Unfortunately, the test car was also fitted with a manual gearbox and not the automated-manual that I prefer. 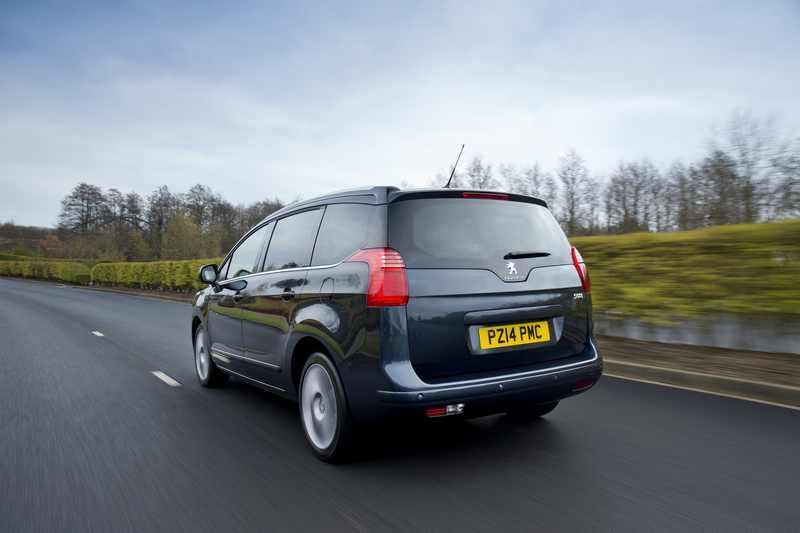 Personally, I think that MPVs work better with diesel engines and auto-boxes. The driver has a fair amount to contend with on the handling front, as a result of a taller body construction inducing greater vehicle roll on bends and roundabouts. Therefore, two hands on the tiller are far preferable to searching for a gearstick down in the depths, while also juggling the clutch operation and a steering wheel that has a flattened bottom. While there are some people I know, who would prefer a flattened bottom to that which God gave them, as the 5008 is as far removed from being a sporty drive as it is possible to be, it does not need to be thus equipped. The 5008 is not a TT. Its gearshift quality is slightly ponderous, which does not help its case at all. 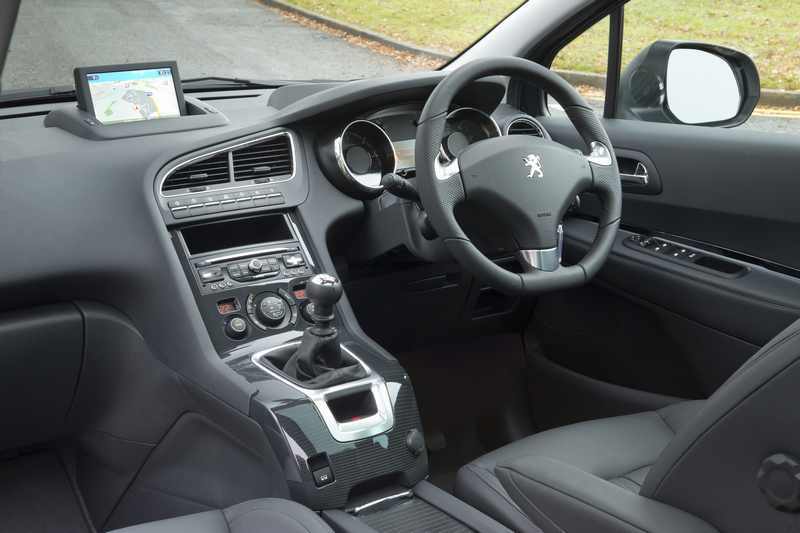 When you consider how excellent Peugeot manual shifters have been in the past, it is hard to envisage how the company can get it quite wrong, when it is making so many other material improvements along the way. Still, at least it possesses six forward ratios, which is somewhat better than the 5-speed manual Citroen alternative that I have just driven to and from Paris (more of which in a separate report). Developing 114bhp, the 1.6-litre turbo-diesel engine is actually a paragon of virtue. You can almost see the halo above its bonnet. Thanks to fairly high overall gearing, the 5008 will manage a top speed of around 115mph, which suggests that its aerodynamic efficiency is not too bad at all, as the engine is turning over at comfortably less than 3,000rpm at that speed. However, it takes a downhill to exceed it, as the peak power figure is not exactly exciting and it does have to be ‘overdriven’ to keep up sometimes, although it is also devoid of extraneous and distracting wind noise, which underscores its overall refinement. A decent amount of pulling potency (torque) means that the 5008 will also zip from 0-60mph, the typical benchmark, in around 12.5 seconds, which is enough for most owners. While its CO2 emissions rating is 128g/km, a figure that Citroen has just beaten in its alternative C4 Picasso equivalent, a fuel return of around 55mpg is hugely respectable and will help to keep running costs at moderate levels. I seldom saw less than 47mpg (recorded on the computer), even during the bulk of testing. If there is one minor aspect that will come to very little, should you be striking a deal to acquire an example, it is the 5008’s price tag, which has taken around a £400 hike over its forebear and the equivalent Citroen version too. Some useful argy-bargy will need to be exercised to remove that differential, although this car’s £22,200 bottom-line is market competitive (even though I loathe the terminology). Go for upwards of £3k off. The second (and last) niggle lies in the paucity of storage slots. This is supposed to be a practical MPV, for heaven’s sake! Where are all the below-floor, in-door, within headlining and dashboard slots and bins? The 5008 lacks them, where its rivals are all somewhat better endowed. If, as Peugeot suggests, it is listening to us, then it will need to sort out this primary failing with the next nip and tuck. Otherwise, I would give it top billing and deservedly so. Conclusion: While the family-owned company might have been shoved through its own brand of pepper-mill in recent months, at least it has the resolve to ensure that it presents a united front with its various models. The 5008 is a very competent people-mover, which is liked by the majority of our family members.